Keeping track of a suspected person (subject) involved in any kind of wrong doings, providing minute-to-minute details about his/her movements, activities, description of places being visited by the subject and people met during the course of surveillance. Taking photographs when so required for evidence purposes. NOTE: WE ARE LOOKING FOR CLIENTS FROM NORTH INDIA ONLY. Secret surveillance of a Subject to unearth vital information is carried out in a highly confidential manner, coupled with clandestine shadowing/chasing. Our own two wheelers/4 wheelers are deployed to carry out the clandestine operations. We are one of the eminent service providers of Tracking Surveillance Investigation Service to locate and tracing missing people. Our team of professional detectives is responsible to gather information about missing persons and tracing their location. 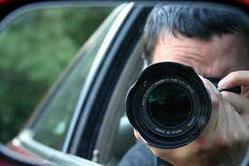 Offered surveillance services are conducted in topmost secrecy and we make sure that we deliver the reports in a timely manner. The team of Investigators in India conducting the significant amount of the matrimonial enquiries, corporate investigations, surveillances, Surveillance to male. We provide Investigation services, which basically include Due diligence, Surveillance, Fraud investigation, Asset searches and Background checking. We have associated with the professionals who are experts in their field. • Relations with other men/women. • Previous marriage if any. 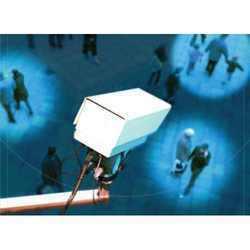 We are a service provider of Electronic Surveillance Articles that is designed using latest technology and superior quality raw material. Clients appreciate these products for being easy to operate and can easily identify the tags of any items. Furthermore, these articles are highly demanded for security purposes and offered at competitive prices. Surveillance, Investigation, shadowings, liaison works and facility services.